At the HCS Summer 2017 Finals at DreamHack Atlanta, a record was set for Halo LAN play with 93 teams. We’re excited to announce that the bar has been moved yet again, with even more teams registered for the Orlando Open. 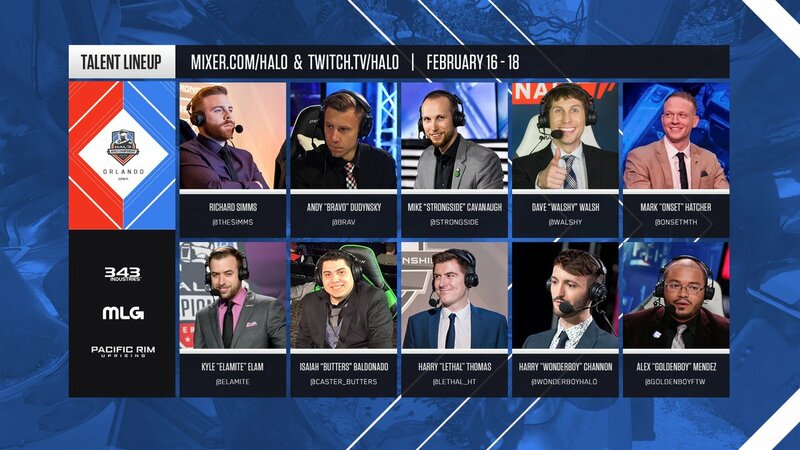 From top to bottom, the HaloWC 2018 is rife with outstanding talent and scintillating storylines and looks to open up this newest era in Halo esports in grand fashion. For the HaloWC Orlando Open, fans around the world will have multiple streams to be able to follow all the incredible action. This broadcast will focus on the action taking place on the Main Stage, but will also feature live check-ins to two other featured stations, red-zone style, providing viewers at home with more robust coverage than ever before of the best action in the most important matches happening at that moment. The Main Stream will also feature a world-class lineup of broadcast talent, showcasing some of the finest casters and analysts in the sport. The Gameplay Stream (Bravo Stream) will focus on a dedicated featured station, providing viewers with an additional avenue to take in top-level tournament action all weekend long. Matches showcased on the Gameplay Stream will be broadcast with a streamlined presentation, focusing completely on the action in-game. For more information on event details, travel, registration, ticket sales, and more, make sure to head over to the official Event Hub at halo.gg/Orlando2018. Also note that Team Passes will be on sale until Monday, Feb. 12. Get yours today as they will not be sold at the door. From the outset, the top pro teams from each region will be clashing in group play to determine placement and seeding in the championship bracket. 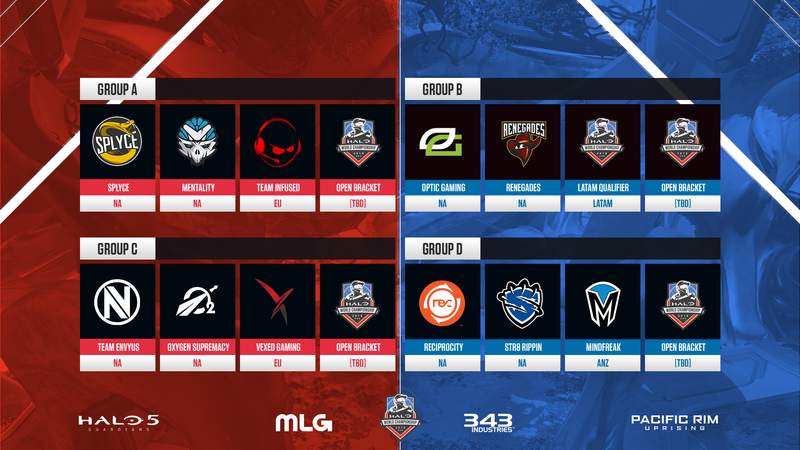 Below you'll find the first look at the grouping – where does your favorite team sit and who do you think will finish on top of each group? For a full breakdown on format details such as round-by-round gametypes, expanded schedule, points breakdown, and more, check out our Orlando Open Format Blog HERE. Another exciting element of the HaloWC season is the addition of epic FFA showdowns, letting lone wolves prove themselves against some of the world’s best. 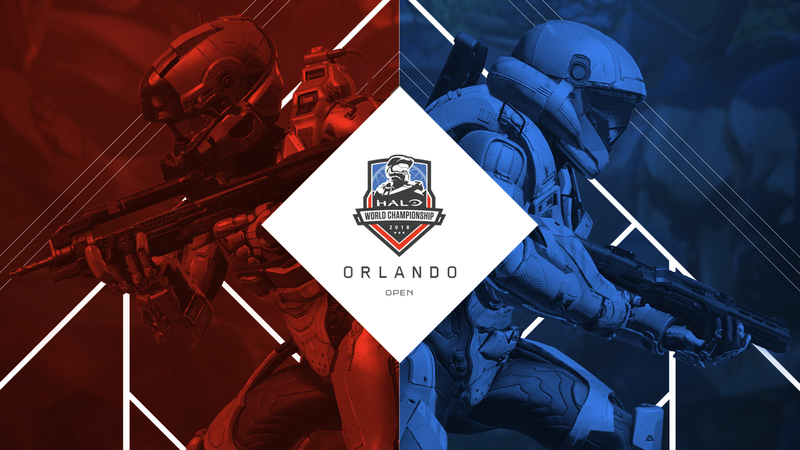 As with every open event in the HaloWC 2018 season, the Orlando Open will feature a $5,000 FFA tournament taking place all day on Saturday. 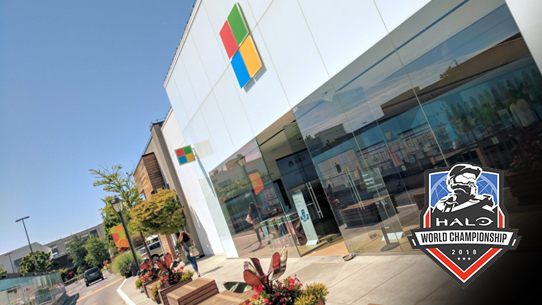 The action from each FFA tournament throughout the season will culminate at the Halo 5 FFA @ HaloWC 2018 Finals here in Seattle, WA on April 13-15 where 12 qualified players will duke it out for an additional $10,000. While many other rosters feature new looks and updated lineups, the venerable stalwarts at OpTic Gaming roll into the HaloWC 2018 season unchanged and undaunted. The grizzled squad of Snakebite, Lethul, Royal2, and Frosty are looking to make history by winning an unprecedented third straight Halo World Championship – a feat that would cement the fearsome foursome’s place amongst the like of Final Boss in the annals of Halo esports history. Featuring an evolved lineup from the roster that won them the HCS Summer 2017 season championship, Splyce has put themselves in an essential pole position for the HaloWC 2018 season, having won three out of four North American online 2k tournaments. The formidable lineup of young guns Shotzzy, Renegade, Eco, and Stellur look to begin their World Championship campaign with a win in Orlando. Perhaps the most intriguing new name in Halo esports is Team Reciprocity, who enter the HaloWC 2018 season with a lineup stacked with talent. Featuring former nV greats Mikwen and Snip3down teaming up with seasoned slayers Spartan and Penguin – and all under the watchful strategic eye of their coach OGRE2 – Reciprocity is looking to paint the town orange and bring home a World Championship title to its more than deserving members. Fans of the Boys in Blue spent this last offseason eagerly awaiting news on Team EnVyUs’ updated squad for this year’s Halo World Championship. That anticipation was recently replaced with elation, as nV revealed their new roster, helmed by the ageless Wizard himself once more. Featuring a battle-tested crew of Pistola, bubu dubu, Tripppey, and Saiyan, nV looks to finish one step higher on the podium than last year’s runner-up result. 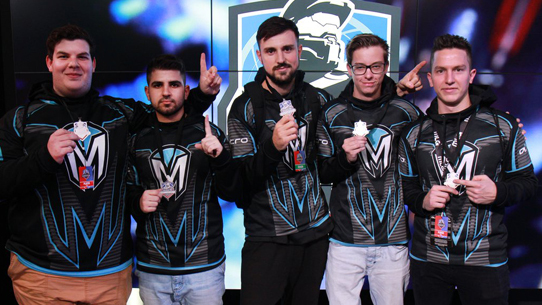 Europe will be hoping to build on their strongest collective performance back at the HCS Fall 2017 season finals. Team Infused will once again be leading the way and looking to re-write history with an aim to improve on their historic Top 6 placing back in Denver. Their nearest rivals Vexed will be looking to make their deepest run yet, and with multiple online 2k wins already in the bag, they are looking stronger than ever – particularly with their recent acquisition of Snipedrone. Alongside Infused and Vexed, four other teams will be making the journey across the ocean to Orlando with the aim of really making a statement. Myztro, Fable, Endpoint and Mockit will be joining the fray as one of the strongest European contingents ever seen at a global event. From the Australia-New Zealand region, the Mindfreak squad rolled through their online campaign and making it clear that they are looking to make an impact. They head into the Orlando Open having won all four 2k tournaments to dominate their locale. In effort to provide a best-in-class experience for competing players and viewers at home, every match at live event on the HaloWC 2018 tour will be played on the Xbox One X console, offering competitors the highest fidelity and fastest response time possible. In addition, each live event will take advantage of the Halo 5 Local Server, ensuring the highest quality experience for every match. The wait is over, the teams are ready… the road to the Halo World Championship begins anew. Open to teams in Europe and the Middle East, the HaloWC 2018 London Finals featured a titanic clash between the top 32 teams in the region, all hoping to battle their way to a spot in the Top 4 and earn themselves a trip to Seattle this April. 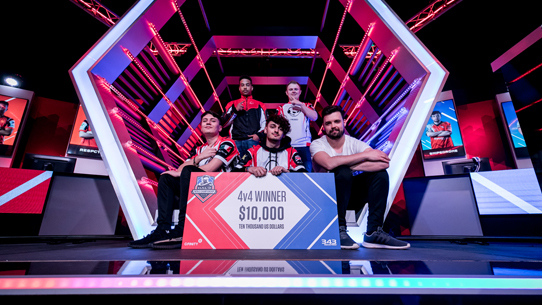 In front of a sold-out Gfinity Arena in London, the event showcased both incredible team and individual performances, and proved that the rest of the world is wasting no time in their pursuit of North American teams when it comes to top-tier Halo esports.